Tennessee requires anyone who suspects child abuse to be a “mandatory reporter.” Child abuse investigations can be initiated by reports from teachers, doctors, counselors, ministers. other professionals, parents of your children’s friends, neighbors, relatives, or observing strangers if they have reason to believe child abuse has occurred. Other times a disgruntled spouse or former spouse will make a report to gain advantage in divorce in cases. These reports may be anonymous. Having a child abuse attorney is critical to having a successful outcome in your case. Early intervention with the Department of Children and Family Services, police investigators and prosecutors is essential. If meetings are set for you to attend at The Department of Children’s Services, do not attend without counsel, and do not sign any papers without approval of counsel. If you have to go to court on a child abuse offense, it is vital be prepared in advance. 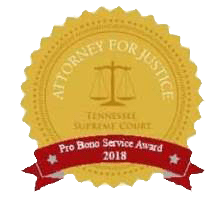 Judges can issue a protective order which can prevent you from being in any contact with your children. There are statutes, policies, procedures, special rules of evidence and local practice which give prosecutors great advantages in child abuse cases. If you are innocent, a skilled child abuse lawyer will understand how to balance the playing field so you won’t be at a disadvantage, and can work to get your case dismissed. Karnes Legal Services can help you if you have been falsely accused.